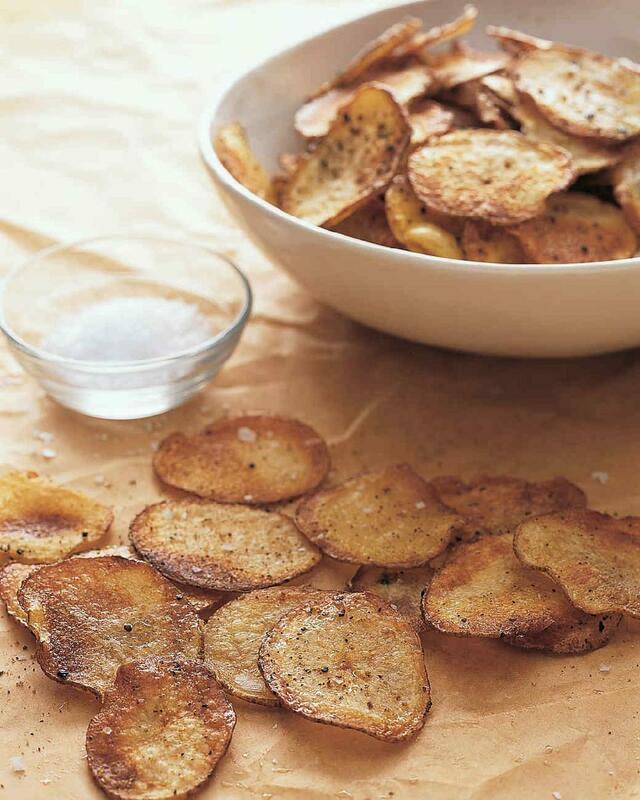 Coconut oil makes these the best tasting potato chips you will ever eat. Enjoy! Preheat oven to 400 degrees. Coat 2 rimmed baking sheets with coconut oil; set aside. Put potatoes, melted coconut oil, 1 tablespoon salt, and the cayenne in a large bowl; season with pepper. Toss to combine. Arrange potato slices on prepared baking sheets, spacing them 1/4 inch apart. Bake, rotating sheets halfway through, until potatoes are crisp and golden brown, about 20 minutes. Spread out potatoes on parchment paper; let dry 5 minutes. Sprinkle with salt, if desired.